Hi! I have a smaller wrist (6.5 inches / 165 mm), but I'm very interested in the C65 Trident Automatic. I wanted to see if anyone else at 6.5 inches or smaller has been able to pull it off. 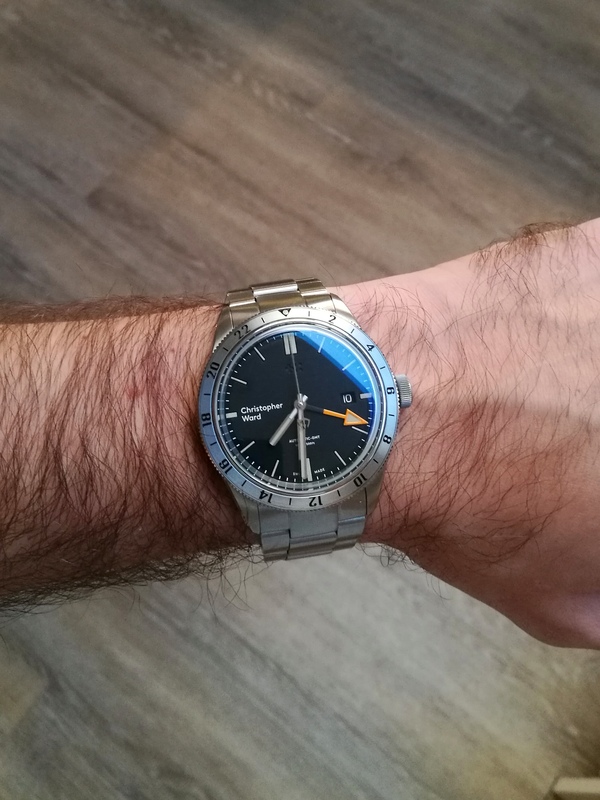 I know that TGV on the Urban Gentry channel seems able to wear his 41 mm C65 GMT on a 6.25 inch wrist, but wanted to get some real world experience from users here. I also saw another video recently of someone saying that the C65 GMT on a 6.75 was too big, so it made me a bit nervous. As a reference, my current daily watch is 40 mm with a lug-to-lug length of 46.2 mm. I've included a photo (but don't judge me ... I know it's cheap watch!). I think it wears well, so my instinct says that adding another mm in both case and lug-to-lug length shouldn't make much of a difference. But again, I'm so new to watches to know whether that's really the case (pun intended). I apologize in advance if the question is silly! I know this is a very subjective topic, and that the 60/60 policy would allow me to try it on without any issues. My only concern is that my fiancé is looking to purchase the watch as a birthday/wedding gift for me, so if I can get the sizing right up front, I think it would be a much smoother situation. I appreciate everyone's help and advice! My wrists are 6", so I may be a good reference for you. About ~50mm minimum across the top of my wrist. I owned the C65 GMT and I found the case and lug dimensions to be great. It helps that it curves and hugs the wrist as well. Beautiful watch, but I eventually sold it as I found the dial/crystal diameter overwhelming in proportion to my wrist (and the case to a certain degree). I think the C65 Trident would be fine for you, you can always buy it & assess it as you have a 60 day return policy. 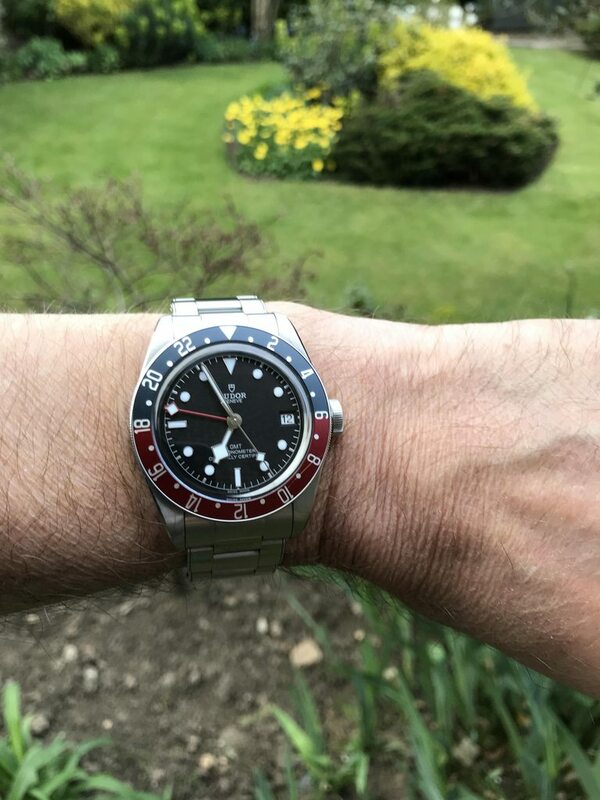 Here is a pic with my 42mm Tudor GMT on my 6.5" wrist (I know this is a CW forum, but my Trident is away for repair at the mo). Having a 7.5" inch wrist I feel unable to give any wearing advice. What I am able to suggest, which I have done on occasions in the past, is to print a picture of the C65 exactly to the actual size. Cut it out, along with a disc of card to mirror the shape of the watch including the lugs that you stick on the back, and then try 'wearing' it. A bit rough and ready but it will give you a better feel for it than just looking at photos. C65 should wear fine on your wrist. Here's my C65 auto on my 6.75" wrist. It looks like your current watch may well have a bigger dial/crystal size than the Trident, so may actually wear bigger on the wrist than the Trident will. Thanks everyone! I really appreciate all the advice and photos. It's so helpful! I actually passed by a local watch store today and saw an Oris 65 Diver in 42mm inside, so I stopped by and asked to try it on. It was bigger than my normal watch, but not inappropriately big. Since it has a bigger case and lug-to-lug length than the C65 Auto, I'm feeling more confident that it should fit me just fine. Now I just have to wait for my birthday in June! Can't wait to get my first CW watch. I have pretty much the same wrist size as you and I can easily pull of the GMT. I also have the Diver C65 that has exactly the same case and these two get a lot more wrist time ime then my smaller, 38mm Trident C60 600. I used to abhor anything over 39mm (I put too much store in what online “experts” spouted) but have come to the conclusion the case diameter is not the be-all and end-all when sizing a watch. It is a combination of overall thickness, lug length, lug curvature AND case diameter. 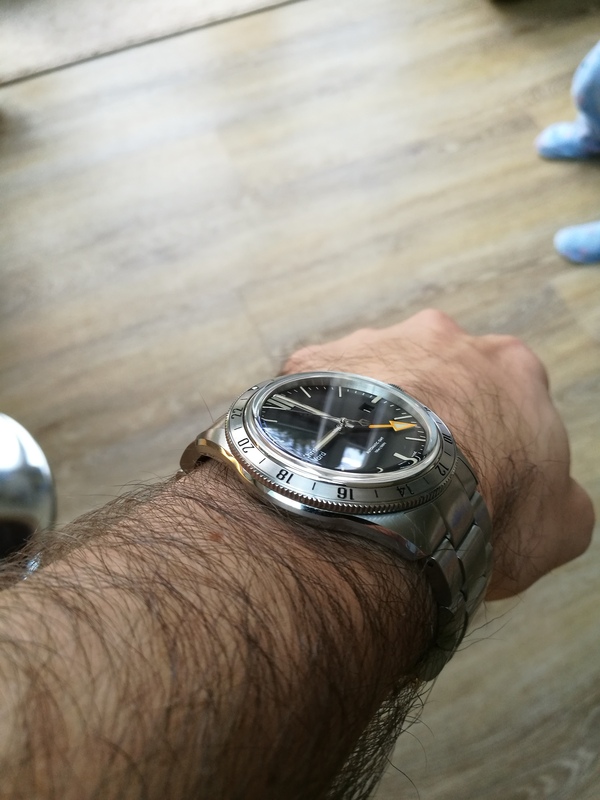 The C65 is slim, has relatively short lugs and these lugs have a decent curve to them; this all helps to make the watch wear smaller than the 41mm diameter alone would suggest. Thankfully I was able to try one in the flesh in the CW showroom and dug my wallet out as soon as I got it on! I’d say go for it. Either get a visit to the Showroom, get to the Manchester event later this month, wait for a sale, or hope to get lucky on eBay/the sales section. Jcalder68 — thank you so much! Those C65 shots look incredible. Also, I never thought that the C60 38mm could look bigger on the wrist than a C65. Though your explanation and photos definitely prove otherwise.